Hi Guys..!! Welcome To BigTricks. Today in this post i will teach you that how you can check that the mail sent by you has been seen or not by the receiver.. Just like the whatsapp You can check the progress of the mail. I will show you the complete detailed procedure of this technique. So I think we should start it now.. Mail seen or not..!! 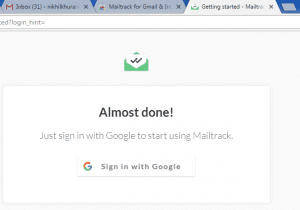 Firstly Install Mail Track Chrome Extension from HERE. Click on ADD TO CHROME & Simply install it. After installation automatically a page will be open. Click on Sign In with Google. It will redirected you to Gmail & their select your account or Simply Sign in. 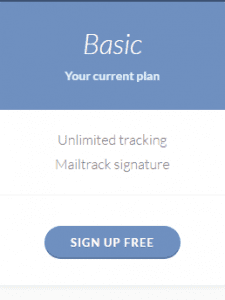 Now a page will open select BASIC PLAN And click on SIGNUP FREE Button. Now you will be again redirected to your Mails page. Click on Compose Mail and then sent it. 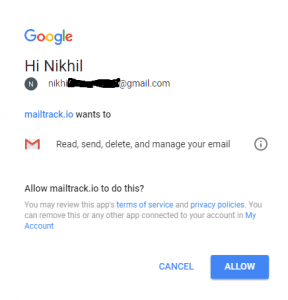 Go To Sent Mail option in Gmail to track the mail. Note:- You can track only new mails which are sent after following the above procedure.. Old mail can’t be tracked..
You can see double click sign if mail is read by the reader just like as in whatsapp..